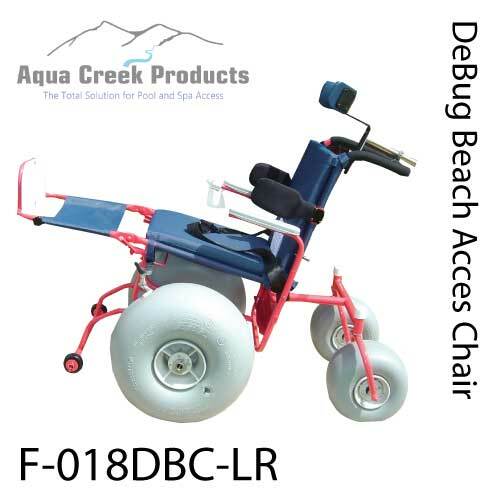 The DeBug Beach Wheelchair is designed to provide recreational opportunities for people with disabilities. 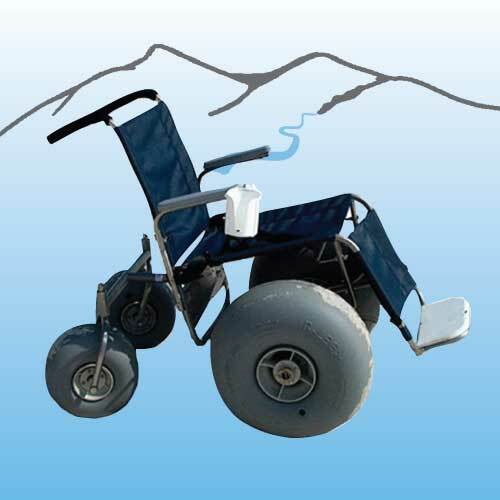 The wheels are specifically designed to enable easy operation in grass, gravel, sand, snow, & uneven terrain. The design includes an articulated rear suspension which keeps all four wheels in contact with the ground when navigating uneven terrain. 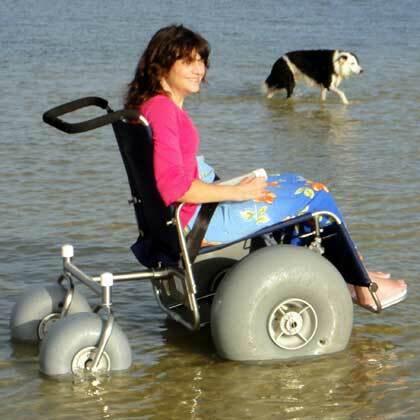 The wheelchair is sturdy and dependable providing all individuals the enjoyment of a worry free day at the beach.